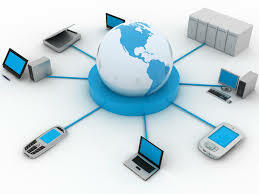 Information system is a system composed of people and computers which processes or interprets details. The term is also sometimes used in more restricted senses to consider only the software helpful to run a computerized database or refer to only a computer system. The information system contains specifics of people, places, and the facts that help managers to create decisions, analyze as well as visualize complex concerns and solve some other problems. For this kind of, use a routine of three essential activities: input, processing and output. The IS provides three basic functions inside the organization of an organization, which has the capability to transform details into knowledge.